Is There an Effective Alternative to Fumigation for Costa Mesa, CA, Homes? There’s no question that fumigation is a major hassle. In addition to forcing homeowners in Costa Mesa, California, out of their homes for days, there are always lingering concerns about adverse health effects after treatment is complete. 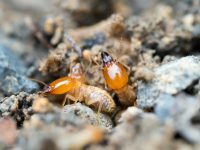 For these reasons, you may be pleased to learn that there’s an alternative to treating termites that is equally effective, more convenient, and comes without any health concerns. Instead of fumigation, Kilter uses a treatment method that involves no noxious gasses or fumes and is not toxic to humans or common household pets – the KILGUARD System. Treatment with KILGUARD can be completed in hours instead of days, and you’ll be able to remain home during the entire process. You won’t even have to worry about bagging up your food or medications or that the treatment will harm your houseplants. The KILGUARD system is designed to eliminate even stubborn termite infestations by targeting both species of termites that are commonly found in area homes – drywood and subterranean. In fact, our system is often more effective than fumigation at eliminating subterranean termites, as they can’t simply burrow underground, only to return once the gasses have dissipated. Our treatment will not only eliminate termites from your home, but also prevent them from returning, and we back this claim with a two-year warranty. Would you like to learn more about the alternative to fumigation that Kilter Termite and Pest Control offers to homeowners in Costa Mesa, CA? Contact us today to schedule a free termite inspection at your home.